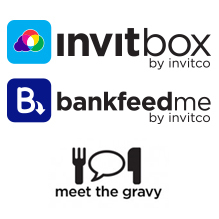 Meet the Gravy is a blog brought to you by invitco. Each day we’ll bring you some Q&A’s from some people big or small, old or new who are playing in the cloud/accounting/tech space in some shape or form. Also please attach a photo of yourself. Meet the Gravy Q&As will only be published on the Meet the Gravy blog, and the blog will be promoted through social media However, you should be aware that other people may decide to share the blog. That’s just what happens in life. We (invitco) accept no responsibility for any ramifications or consequences for posting your answers. We are not liable for anything at all. Please just remember that.